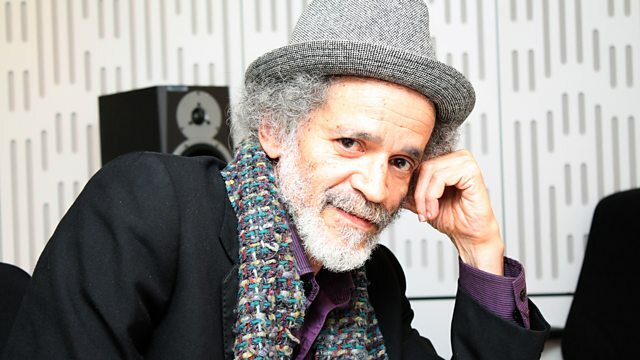 Kirsty Young talks to poet and playwright John Agard. Kirsty Young's castaway this week is the poet John Agard. His work is studied widely in British schools. He was the BBC's first poet in residence and along with WH Auden and Philip Larkin, he's a recipient of The Queen's Gold Medal for Poetry. Born in Guyana he arrived here in the mid-1970s already playing with words like some people play with musical notes. If his style is often satirical, his subjects provide wincing realism - examining the scars of slavery or the historical myopia of a shared past judged solely through European eyes. He says he believes that "the poet keeps us in touch with the vulnerable core of language that makes us what we are." The Singles Album: Jimmy Hendrix. The Best Of Jimmy Cliff. A Symphony Of British Music: Music For The Closing Ceremony Of The London 2012 Olympic Games.